Velata is fun fondue! Scrumptious, premium Belgian chocolate and savory Wisconsin cheese warmed and served in a fun-to-use warmer. Melt, pour & party! No flame, no scorching, no messy cleanup! Velata is fun fondue: scrumptious, premium Belgian chocolate warmed and served in a plug-and-play, fun-to-use warmer that keeps chocolate at the perfect temperature for dipping — no flame, no scorching, no complicated instructions, and no messy cleanup! Whether you are a foodie, a trendsetter, or just someone who thinks of chocolate as its own food group, Velata fondue products are for you.  Velata is a member of Scentsy Family, a rapidly growing international party plan company dedicated to creating a social shopping experience that gives Velata Consultants and customers variety, value, and a level of personalization they can’t find anywhere else. Velata products are sold through a network of Independent Consultants in the United States, Puerto Rico, Guam, and Canada. People said it couldn’t be done. How could you take something as complicated as fondue and make it simple? In a flash of brilliance, it struck them. A small group of clever, chocolate-adoring Scentsy folks had a dazzling idea. What if we served scrumptious chocolate fondue in a plug-and-play, fun-to-use warmer worthy of such fine chocolate? We set out in search of the world's most perfect, blow-your-mind chocolate. Our journey took us to (where else) Belgium — the world capital of fine chocolate. We found the perfect chocolate with the purest ingredients and the velvetiest (sometimes you have to invent a word) consistency. The kind of chocolate fondue you want to dip into, heart and soul. Perfect chocolate needs a perfect melt! So we invented a patent-pending silicone dish heated by a light bulb in a hip, fun, smart fondue warmer. Who else but Scentsy could find a hip, fun, smart way to use a light bulb? Take a dip in indulgent Velata chocolate. Once you’re hooked, make sure to take a look at the Velata opportunity. You never know, you may make a life out of your love of chocolate. When will Velata be available? Velata launched on May 1, 2012. What does Velata mean? And how do you say it? Velata, pronounced VEH‐LAW‐TUH, as in "Gotta Velata" is the Latin word for "veiled" or "covered." What's the difference between a Scentsy warmer and a Velata warmer? Unlike Scentsy warmers, Velata’s silicone dish is suitable for warming and serving food, is microwave‐safe and dishwasher‐safe. Velata warmers use a patent‐pending technology that keeps the melted chocolate at the perfect temperature—warm enough to stay melted, but not so hot that it scorches. How many Velata warmers are available for purchase? Velata will launch with 14 unique warmer designs. What type of light bulb does a Velata warmer use? Velata uses a 25‐watt light bulb—the same type of light bulb used in a Full‐Size Scentsy Warmer. Where are Velata warmers made? Velata warmers are designed by Velata and made to our exact specifications by our trusted manufacturing partner in China. Can I use a Scentsy warmer for Velata chocolate? No. Scentsy warmer dishes are not made for food use. Can I use my Velata dish with my Scentsy warmer? Velata warmers are designed to work with the accompanied dish. The type of ceramic material, the number of vent holes, the position of the light bulb relative to the dish, are all factors that can change the temperature of the chocolate. Use Velata warmers for warming chocolate; Scentsy warmers for warming wax. What kind of chocolate is used? Velata uses premium Belgian chocolate‐‐the finest chocolate in the world. We are launching with four flavors: milk chocolate, white chocolate, dark chocolate, and caramel milk chocolate. Can I use other brands of chocolate in a Velata warmer? Our warmers are calibrated to work with the recipes of chocolate we sell. You will not get a better experience using any other chocolate. The Velata warranty will not cover damage caused by non‐Velata brand products. How do I melt the chocolate? Velata chocolate comes in a microwave‐safe pouch. It is designed to be melted in the microwave and kept warm in the Velata warmer. Can I melt the chocolate directly in the warmer? Velata chocolate can be removed from the pouch and melted in the warmer. Please allow 45 minutes for the chocolate to melt. Who is the manufacturer of Velata chocolate? The identity of all manufacturing partners is considered a trade secret. What are the ingredients in Velata chocolate? Milk Chocolate: sugar, cocoa butter, whole milk powder, cocoa liquor, soy lecithin, natural vanilla. White Chocolate: sugar, cocoa butter, whole milk powder, soy lecithin, natural vanilla. Dark Chocolate: cocoa liquor, sugar, cocoa butter, soy lecithin, natural vanilla. Caramel Milk Chocolate: sugar, cocoa butter, whole milk powder, skimmed milk powder, cocoa liquor, caramel powder (skimmed milk powder, milk proteins, sugar, butter), whey powder, lactose, soy lecithin, natural vanilla, caramel. What is the best way to store any leftover chocolate once it has been melted? If any melted chocolate remains in the dish, first let it cool, then cover it with plastic wrap and store in the refrigerator. Velata chocolate is designed to taste great melted, not look great cold. The cocoa butter in Velata chocolate will "bloom" once melted and cooled, resulting in a cloudy appearance. Taste, quality, and appearance are unaffected when melted. Is Velata gluten‐free? Dairy‐free? Sugar‐free? Velata chocolate is gluten‐free. Our dark chocolate is dairy‐free, but processed on the same line as products that contain dairy. No Velata products are sugar‐free, but we are exploring sugar‐free options. Does Velata contain peanuts or tree nuts and/or is it processed in a facility that processes products that contain peanuts or tree nuts? No. Velata does not contain any peanuts or tree nuts and is not produced in a facility that processes products that contain peanuts or tree nuts. Is the Belgian chocolate used in Velata a Fair Trade product? The vendor who is producing our chocolate in Belgium is a member of the World Cocoa Foundation (WCF) and the CAOBISCO who are committed to the social and economical well‐being of cocoa workers and their communities. Details related to fair trade and corporate social responsibility can be found on www.velata.net upon launch. Where will Velata ship from? All Velata products will ship from our Distribution Center in Meridian, Idaho. They will be shipped separately from Scentsy Fragrance orders. Why isn’t Velata chocolate shipped with ice packs? When pouches of delicious Velata chocolate are shipped from our distribution centers to your doorstep, the chocolate can melt in transit and resolidify as several chunks or one large block. Although ice packs are not used in shipment (since they melt quicker than the chocolate), Velata’s specially-designed pouches were developed to ensure the premium Belgian chocolate maintains its high quality and best possible flavor. Why can’t both brands ship together to save on shipping costs? Since Velata is a food product, it must ship separately from Scentsy Wickless wax products so there is no potential for fragrance transfer or absorption. How much will shipping fees be on Velata products? Velata shipping fees/tiers are the same as Scentsy Fragrance. Are there any regulations with handling food and/or samples at fairs, shows, or home parties? Regulations for food handling vary from county to county. In regard to providing food samples at fairs and shows, it is the responsibility of Velata Consultants to learn their local jurisdiction's regulations and work with the fair/show's management company to understand the specific requirements. What kind of cheese is used? Velata Cheese Fondue is made with all-natural cheddar and smoked Gouda cheeses. Who makes the cheese and where is it made? Velata Cheese Fondue is crafted in Wisconsin by one of the largest specialty cheesemakers in North America. What flavors of cheese are available? Velata has four delicious flavors: Cheddar, Bacon Cheddar, Fiesta Queso, and Smoked Gouda. What are the ingredients of each cheese flavor? Cheddar: cheddar cheese (milk, cheese cultures, salt, enzymes), water, cream, whey, sodium phosphate, natural cheddar cheese flavor, calcium propionate (preservative), apo-carotenal (color). sugar, brown sugar, smoke flavoring), calcium propionate (preservative), apo-carotenal (color). Smoked Gouda: cheddar and naturally smoked Gouda cheeses (milk, cheese cultures, salt, and enzymes), water, cream, whey, sodium phosphate, calcium propionate (preservative). Does the cheese contain gluten, dairy, soy, nuts, trans fats, monosodium glutamate (MSG), genetically modified organisms (GMO), antibiotics, or hormones? Velata Cheese Fondue is gluten-free, soy-free, trans fat-free, MSG-free, and GMO-free. It does not contain nuts and is produced in a facility that does not process nuts. All four flavors contain dairy, which we cannot guarantee is antibiotic- and hormone-free. Velata Cheese Fondue is not kosher. Does the cheese contain preservatives? Yes. Velata Cheese Fondue contains calcium propionate, a commonly used food preservative. Does the cheese need to be refrigerated prior to opening? Velata Cheese Fondue is crafted through an extensive process using high temperatures to create a shelfstable cheese, which doesn’t require refrigeration before opening. After opening, store covered cheese fondue in the refrigerator for up to seven days. How do I warm the cheese? Velata Cheese Fondue comes in a container designed to be heated in the microwave. The cheese can then be transferred to a Velata warmer to be kept warm. Can I heat the cheese directly in the warmer? Velata Cheese Fondue can be removed from the container and heated in a Velata warmer instead of the microwave. Please allow at least one hour for the cheese to fully warm to your desired temperature and consistency. We recommend stirring regularly to ensure even heating. Do I use a whole container of cheese in my warmer dish? Each Velata Cheese Fondue container holds just the right amount of cheese to fill a Velata warmer dish. What’s the best way to store any leftover cheese once it has been warmed? If any warmed cheese remains in the dish, let the cheese cool; then, cover it with plastic wrap or a warmer lid and store in the refrigerator. Enjoy the cheese for up to seven days after refrigerating. Can I melt other brands of cheese with my Velata warmer? What is the expiration date of the cheese? Please see the “Best by” date printed on your Velata Cheese Fondue container. Refrigerate after opening, and use within seven days. Why is there a film on the cheese when I leave it unstirred in the warmer? This film is natural for any cheese product when it is warmed and not stirred. The film will dissolve upon stirring. Will the cheese melt in shipping? Some ingredients may separate during shipping, which is common, harmless, and doesn’t alter the taste or quality of the product. Just heat, stir, and enjoy as usual. I opened my cheese container and the contents have separated. Is this OK? Is the cheese container recyclable? Is it BPA-free? Yes. The container is made of polypropylene (PP) #5 plastic, which is recyclable, and is BPA-free. Is there a multipack (Delicious Deal) with chocolate AND cheese? Although there isn’t a Delicious Deal containing both chocolate and cheese, we are always exploring new opportunities and welcome your input. Is cheese included in the Starter Kit? Velata Cheese Fondue will be in new Consultant Starter Kits beginning in April. Mixables add the perfect amount of flavor to one pouch of Velata chocolate. Choose from Mocha, Orange, Peppermint, or Raspberry to enhance your chocolate with fantastic flavor. What form do Mixables come in? Is it a liquid, oil, or powder? Mixables are pre-measured packets of flavored powder. What are the ingredients of each Mixables flavor? Mocha: maltodextrin (from corn), modified corn starch, silicon dioxide, triacetin, natural and artificial flavor. Orange: maltodextrin (from corn), natural and artificial flavor, modified corn starch, silicon dioxide. Peppermint: maltodextrin (from corn), gum arabic, silicon dioxide, natural and artificial flavor. Raspberry: maltodextrin (from corn), modified corn starch, silicon dioxide, triacetin, natural and artificial flavor. Do Mixables contain gluten, dairy, nuts, soy, sugar, or caffeine? Are Mixables kosher? All four Mixables flavors are kosher. They are also gluten-free, dairy-free, soy-free, and caffeine-free. Orange and Peppermint flavors do not. No sugar is added to Mixables, but they do contain maltodextrin — a common food additive and sugar substitute. When do I add a Mixable to the chocolate? Stir in a packet of your favorite Mixable flavor once your chocolate has been fully melted and poured into your Velata Fondue Warmer. Can I get multiple flavors in one box of Mixables? No. Each box of Mixables contains three packets of the same flavor. Will adding Mixables to Velata White Chocolate change the color of the chocolate? No. All Mixables flavors come in a white powder form that dissolves when stirred into the chocolate and will not alter the color of the white chocolate. Will adding Mixables to my chocolate change the consistency? No. That is why Mixables come in powder form. They are quickly and easily stirred into your chocolate without clumping or any change in consistency. Can I use Mixables in anything besides Velata chocolate? Can I add a Mixable to Velata Cheese Fondue?